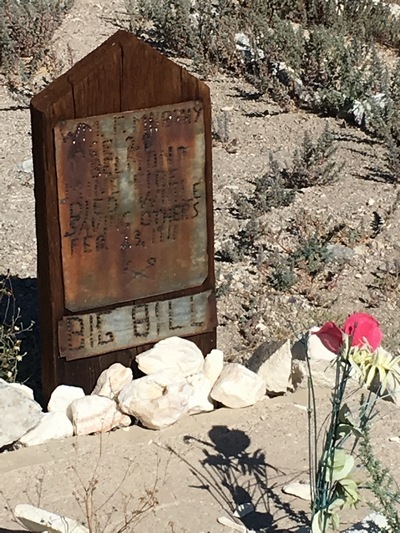 Every day and each night there are visitors and locals alike exploring the Old Tonopah Cemetery, made famous by its proximity to the Clown Motel and an episode of Ghost Adventures. 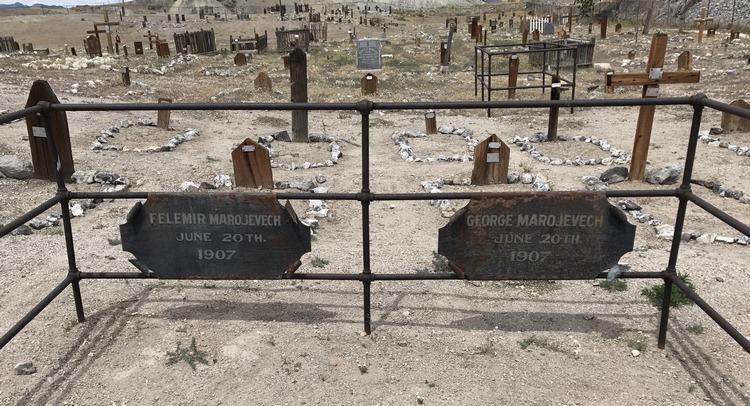 The Cemetery has been painstakingly caretaken and researched by Allen Metscher, President of the Central Nevada Historical Society. Allen has been working in the Old Cemetery for 38 years, where he has replaced wooden grave markers, looked up death certificates, researched deaths in the old newspapers, added dates and causes of death, and kept the cemetery from falling into disrepair. 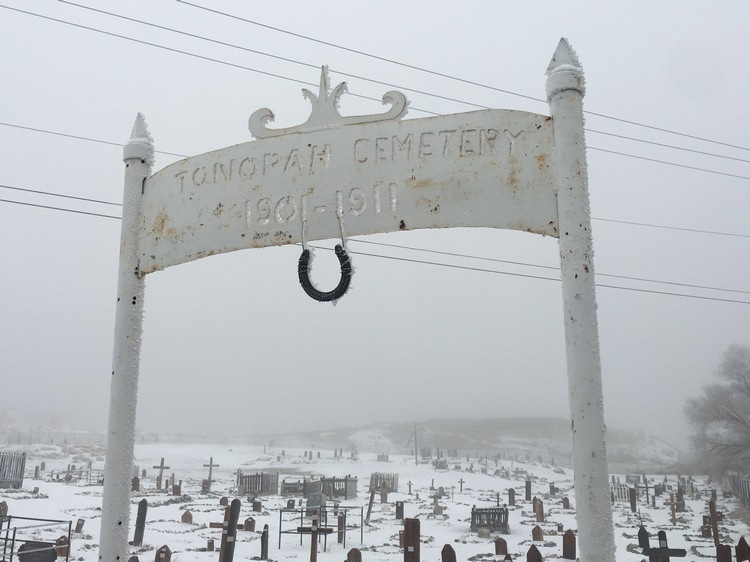 Last semester, Dr. Whelan’s Tonopah High School Leadership Class and Town of Tonopah’s Tourism/Events Coordinator Shari Bombard worked together to add a little bit more — a walking tour video of the Old Tonopah Cemetery and a brochure to accompany it. Using the Library of Congress’ Chronicling America website, Shari’s previous research in the Cemetery from her work on Tonopah’s Ghost Walks and Dr. Whelan’s expertise with videography, the group spent an entire semester researching graves, writing a grant application to TravelNevada to fund printing the brochure, and creating and narrating the video. The brochure is headed to the printer and will be at the Old Tonopah Cemetery, at businesses around Tonopah and online at www.tonopahnevada.com by the end of September. The entire project was made possible by the collaboration between the Tonopah High School and the Town of Tonopah, as well as grant funding from TravelNevada. See you in Tonopah!